Who knew that being a tourist in your own city could be so much fun? 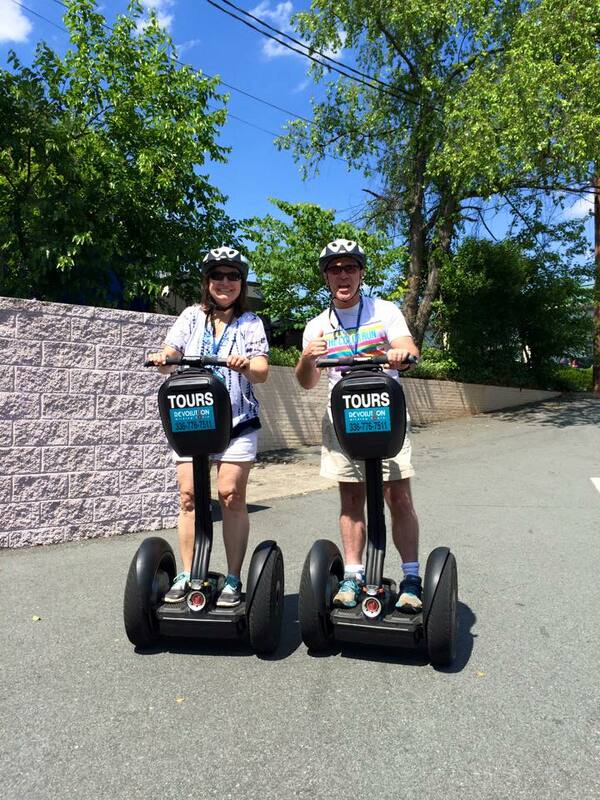 Recently, my husband, Mike Pollard, and I embarked on a Segway tour through downtown Winston-Salem. I didn’t even know these tours existed until a few weeks ago. In fact, there are two companies in town that offer tours – Revolution Gliding Tours and Triad Eco Adventures. They apparently both opened two years ago. Admittedly, the main draw was cruising on a Segway, but we also got to see our city in a different way and learned a lot. The biggest takeaways? 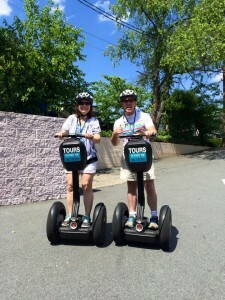 Segways are cool and easy to ride once you get the hang of it, and downtown is booming and bustling, thanks mostly, in my opinion (and the tour guide’s), to the energy and growth spawning from the Wake Forest Innovation Quarter. From ghosts to interesting architectural features of downtown buildings, to the beautiful new Bailey Park and the Strollway greenway, there was a lot to see and learn. I’ll definitely do this again, and it would be a fun way to entertain out-of-town guests as well.